Medical experts have warned residents to remain cautious about rabies as the hot weather is prolonged nationwide. Tong Thi H, 60, of Ho Chi Minh City was bitten by a dog as she returned from a trip to the local market. Considering it a small scratch, she applied some ampicillin, an antibiotic used to fight infections, but the wound swelled and ulcerated the next day. H. was rushed to the city’s People's 115 hospital where doctors said she was at risk for septicemia, but timely treatment saved her life. The Tropical Disease Hospital has been receiving patients coming in for rabies vaccines recently. Dr. Nguyen Van Minh Chau, the hospital’s deputy head, advised people to get a vaccine shots as the best way to prevent rabies. He said his hospital received an average number of 600 people asking for the rabies vaccine a month. Doctors at the Pasteur Institute and the city’s Preventive Health Center have also been administering anti-rabines vaccine to over 10 people a day. One effective way to prevent rabies in dogs and cats is to inoculate them, however, many families are not aware of the problem and let their pets roam free in the streets. 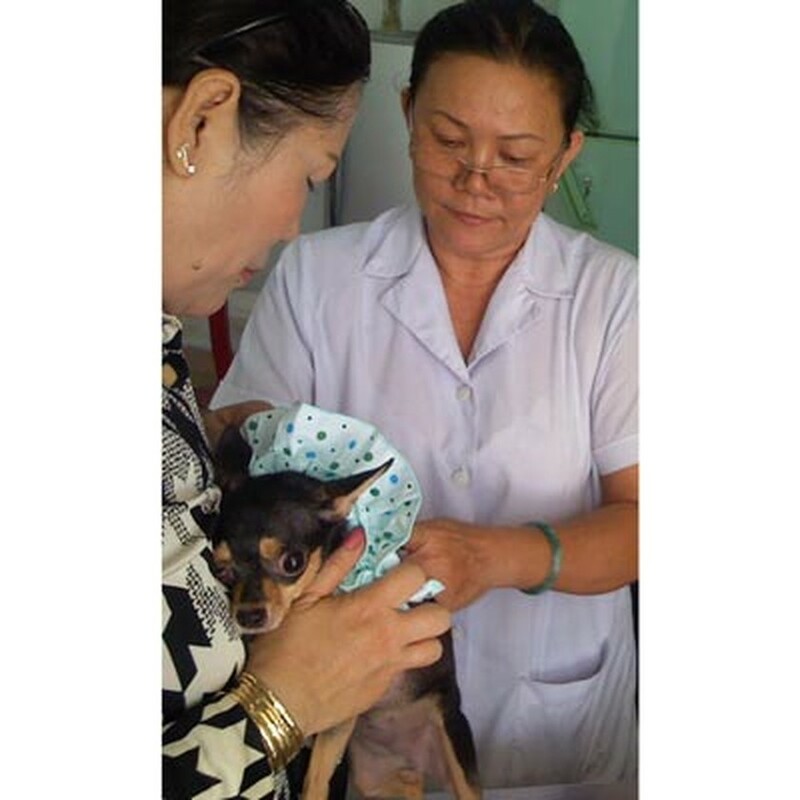 An animal health center in Ly Chinh Thang St, District 3, has seen many people bring dogs in for treatment, but few owners bother to get the rabies vaccine. Nguyen Thi Kim Phuong, who is in charge of injecting dogs and cats, at the center, said over five animals are taken there for inoculation everyday, and this goes up to 10 on some days. The number is a miniscule part of the thousands of dogs kept as pets in the city. Dr. Cao Van Thinh has advised people that in case of dog bites, they wash the wound with soap and alcohol and visit a nearby medical clinic for treatment. Although the city People’s Committee has issued instructions to control the breeding of dogs and imposed penalties on owners who let dogs roam in the street without muzzles, residents are still being bitten by dogs in streets.